How register my Fitbit device through Fitbit Connect? I have an account with Fitbit server, installed Fitbit Connect and Fitbit Dongle. 1. Turn on the Fitbit device. 2. 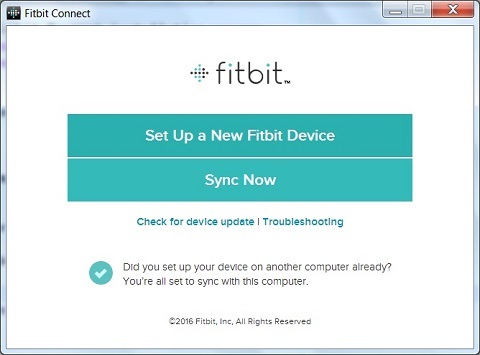 Move the Fitbit device closer to the Windows computer that has the Dongle. 3. Start Fitbit Connect by going to "Start > All programs > Fitbit Connect > Fitbit Connect". 4. Click on "Set Up a New Fitbit Device". 5. Click on "Existing User"
6. Login with your email and password. Update your profile if needed. You will a list of device icons displayed. 7. Select the icon of your device. Some older devices are listed below in text. For example, Fitbit Charge. 8. 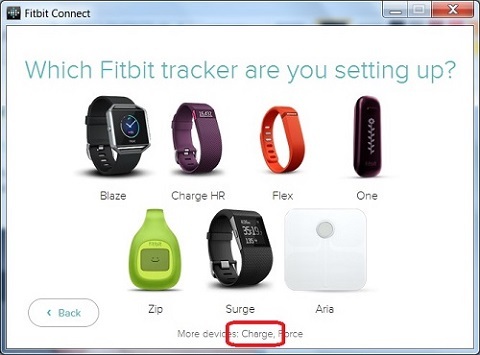 Follow the instruction on the screen to turn the Fitbit device, if it is not turned on yet. Also insert the Fitbit Dongle, if it is not inserted yet. 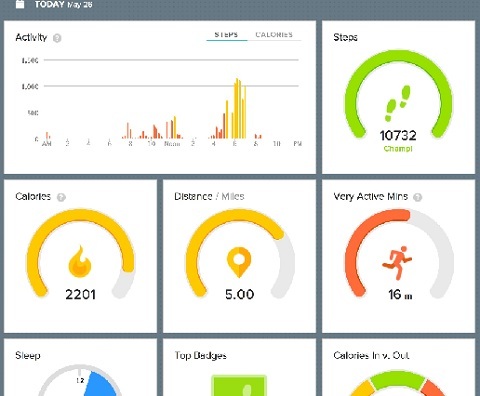 You will see Fitbit Connect talking to your device and updating registration information on Fitbit server. 9. Hold tight... And don't unplug your Wireless Sync Dongle. 10. After some time, the Fitbit device will display a 4-digit number. Enter that number back into Fitbit Connect on computer screen. 11. Watch Fitbit Connect to update your device. You will see "Update completed!" screen at the end. Your Fitbit device is registered with Fitbit server now and ready to sync tracking data.